Unlike her best friend Ryuuzaki Sakuno, Tomo is very outgoing and assertive. She is the self-proclaimed and very enthusiastic. 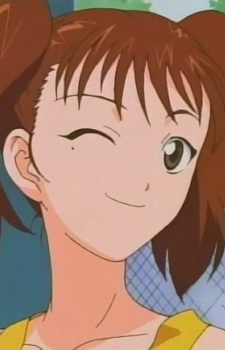 Osakada Tomoka is the president of the Echizen Ryoma fan club. Tomo wants to join the Seigaku female tennis club and attend all the Seigaku events, but she has to babysit her younger brothers. Tomo and Sakuno are in the same class.When she is first seen in the anime, she is wondering why Sakuno joined the Girls tennis club. But when she saw Ryoma having a match with Momoshiro Takeshi, she realized why Sakuno joined the tennis club. She cheers on Ryoma and the others when they are having a tournament, she even made a costume for Sakuno and herself during the match with Joushen Shonan and Rokkaku Middle School.